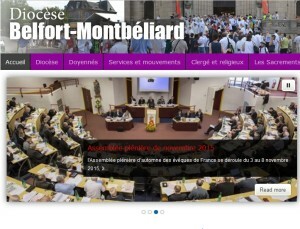 (Paris) The ambiguity of the Synod Final Report is showing its real impact in France. The French Bishops' Conference seem to have been "overthrown with utter confusion" by the Relatio finalis on the subject of remarried divorcees. says Corrispondenza Romana. Those who had hoped the Synod of Bishops would provide clear tools and a unique orientation, have been disappointed. The result is a compromise which conceals a superficial fundamental disagreement in the first place. Accordingly a different result is read. Three main readings are emerging: The Kasperians, including Cardinals Kasper, Marx and Schönborn, read the result more in a "hermeneutic of rupture" as an "opening" to a "new" Church of individual subjectivism. Defenders of Catholic teaching on marriage can be divided into two groups. Some, including the spokesman of the anti-Kasperians at the Synod, Cardinals Pell and Cardinal Müller, read in it a "hermeneutic of continuity" as the preservation of the traditional teaching of the Church, because the demands of Kasperians were blocked. Another part, including Cardinal Burke and Auxiliary Bishop Athanasius Schneider, read the compromise formulas as a foot which the Kasperians have put in the door. They see how their Kasperian opponents have put a hermeneutics of rupture at work that does not allow unrestricted reading of continuity, as the text has been corrupted by the search for a compromise. Half sentences, partial citations, omissions, misleading choices of words, recourse to a non-theological language and a minority that is determined to have a traditional foreign interpretation, bringing the Church into confusion, as the example of France shows. The Synod Final Report and a Lot of Questions? The Bishops' Conference of France dealt with Autumn Plenary session with the final report of the Synod. Numerous questions were raised: If adultery remains forbidden, what then is the phrase, for example, "more complete participation in the life of the Church" for adulterers who are found in the Synod final report? The President of the Episcopal Conference, Archbishop Georges Pontier of Marseilles, was satisfied with the finding that the final report really contained countless questions that were "deepening." The Archbishop named a few examples: "How can one talk about the state of sin to a remarried couple who have lived together for 30 years? Can one speak in such a case of adultery?" The answer to the question is clear, according to Catholic doctrine. If the couple do not find themselves in a state of sin, doesn't the many years that have passed consist in a serious omission. However, this omission does not alter their state of adultery. A clear answer, which no longer seems to be so clear-cut after the Synod. Archbishop Pontier continued: "Do we have the power, to x-ray the existence of anyone, so that we can refuse him access to communion? What's desacralization to our Christian life? " In this case too, everything seems to concentrate on the codification of misunderstandings. Is the Church in an "era of pastoral experiments"
The Bishop of Ajaccio (Corsica), Msgr. Olivier de Germany, therefore were irritated by paragraph 85 of the final report, which was adopted only because a single vote into majority. The Bishop sees in the term "discrimination" the danger of "subjectivism": "You could fall into subjectivism and thus in injustice." 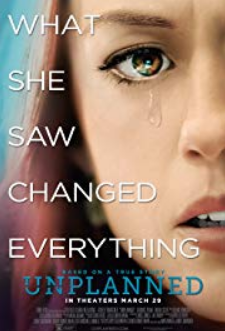 The subjunctive appears not to be necessary because the Kasperians require this condition and promote it openly, so it is already partly reality. .The young Archbishop of Saint-Pierre et Fort-de-France, the Dominican Bishop David Macaire said in the Plenary Assembly of the Bishops' Conference: "Houston, please come, we have a problem!" He warned that the Church was standing before, an "era of pastoral experiments." The Bishop of Gap, Msgr. Jean-Michel di Falco Leandri-, noted that "the disagreements and divisions of the Synod" by the final report was handed one-to-one to the Assembly of the Episcopal Conference. And this is true not only for France. After the Synod, confusion seems to entitle everyone in the Church to read from the double Synod, whatever he wants to read. A striking example of this is the French Roman Catholic Diocese of Belfort-Montbéliard. The Office for Family Pastoral Care of the Diocese organized for the upcoming November 20 an evening lecture with discussion on the topic: "A family together again." Those who expect that it is about the healing of a sacramental marriage or its aim is to bring order to an irregular situation are mistaken. There is also the approach in Belfort-Montbeliard that is to be found in dioceses in the German-speaking countries that "hurt families" have to be accepted as fact. When talking about "wounded families," of course, the broken sacramental marriages are not what is meant, but the special irregular connections , those married divorced again. They should be comforted and offered help in their state. After all, the most daring thesis is that they were discriminated against by the Church, since they are excluded from the sacraments. The Church has an obligation to them. Where they travel they will be "accompanied", to remain virtually open-ended. "Accompanying" is the service of the Church, but the goal is determined by each individual. There should be no fixed standards. It is about a way from somewhere to anywhere. The actual state should not be criticized ("Who am I to judge," Pope Francis). 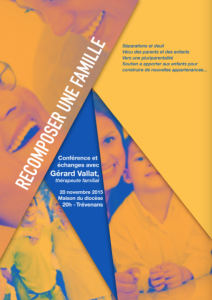 For this reason, a priest won't be speaking on November 20 in Trevenans to preach the Catholic doctrine as the only real liberation and healing doctrine, but the family therapist Gerard Vallat. He will speak on "Separation as lived grief of parents and children". There is no charge for the breakup of a family. Such is assumed to be a kind of "natural law" that man only suffers, but can not influence. For this reason, there are only "victims", but neither guilt nor responsibility. Salvation will not be an issue in Trevenans. The theme will be how to best determine stages of life according to ones' own individual wellness needs and make to those in the converted living reality also including "stage of life partnerships." The perspective is therefore also not be the salvation of sacramental marriage, because what is on the rocks, had just shattered. It's no longer about to put together the pieces of the vase, which was thrown by a specific person or specific people on the floor and shattered. Broken is broken. But it could, says the message, create something new (Love Falls, here today, gone tomorrow). The children, even children who have just been unlucky. They are to be therapeutically helped what with all occupational groups (not priests) work and client groups, to teach them that with their parents, everyone had a right for to achieve their individual life plans for themselves. Today is today and tomorrow is just different. Children or not. The main thing is "respect" the other and do not resort to any physical violence. In short, it was not a question, to fix the damage caused by his father and mother, but to help them "build new bonds". This is "a perspective of utter capitulation. The spirit of the synod is already blowing strong in the Church of France," said Corrispondenza Romana. "... Half sentences, partial citations, omissions, misleading choices of words, recourse to a non-theological language..."
Hey, it's Vatican II all over again! Sandro Magister at Chiesa refers to an article by Father Spadaro S.J. in Civilita. Sandro claims that this article would not have been published without the approval of Pope Francis and therefore it is an indication of the Pope's thinking. Another kite? "An open door to communion for the divorced and remarried." which is Sandro's title and not one that appears in the original article. A bit naughty? Now if you refer to clause 84 of the Relatio Synodi there is no mention of people who subjectively believe that the previous marriage was never valid but merely to the divorced and remarried in general. There is then mention of the 'internal forum' in Spadoro's article. Now certainly in the 1970s there was the idea current that those who sincerely believed that their first marriage was invalid and either had not yet got an annulment or had difficulty in getting one through lack of evidence etc could take communion. Now did Familiaris Consortio do away with this idea about the internal forum? Perhaps some learned reader of this blog could comment. However, if this article does represent the thinking of the Pope, is the situation that we are only talking about those who sincerely believe with good reason that there first marriage was invalid? In which case this whole business of discernment ending in communion for the divorced and remarried is only going to apply to a very small subset of such who have this sincere belief. The problem is that it is only on careful reading of this article that one spots this restriction which does not appear in the Relatio. It is an extremely long article and waffles on interminably so that this point is probably going to be lost in ambiguity and confusion. Is the Pope going to limit this process to what must be a relatively small group? Proof that hell's floor will get a new layer of bishop's skulls in the coming years. And the bishop of Belfort-Montbeliard is only 49 years old. So much for the biological solution and the soon-to-be conservative majority in the Church in France, as New Catholic always gushes about on Rorate Caeli. Dear Mr Bellord, there would have to be objective moral certainty of a putative marriage being in fact non-existent before the subjective appreciation of that fact by a party comes into play. The subjective understanding must be able to rely on facts that can objectively prove the truth of the assertion of invalidity. There are strict criterions to be met for a marriage to be declared invalid. It's out of the scope of the spouses to say whether their marriage is invalid or not, even if they may have the subjective feeling it is. Only the Church can. No, the french Revolution didn't destroy the catholic Church because she went underground and a lot of priests, bishops and lay people were martyred. Their blood wasn't lost since a huge renewal of the catholic Faith went up during the 19th century: Tens of thousands priest were ordained and sent far offshore throughout the world to evangelize the planet. Now the catholic Church of France in a much worse situation than she was on the eve of the Revolution. The "salt of Earth" has become tasteless. It is ready to be trampled under the feet of the muslim passers by.